I have another “Imaginary Illustration” for you today, this time with a quote from The Storyteller and Her Sisters…a rather ominous quote! This quote actually dates back to when I originally wrote this novel for NaNoWriMo 2012, and was in one of the excerpts I posted while blogging about the writing experience. So you can read a bit more of the context in that post! A pretty seriously locked door to go with that ominous quote! 😊. 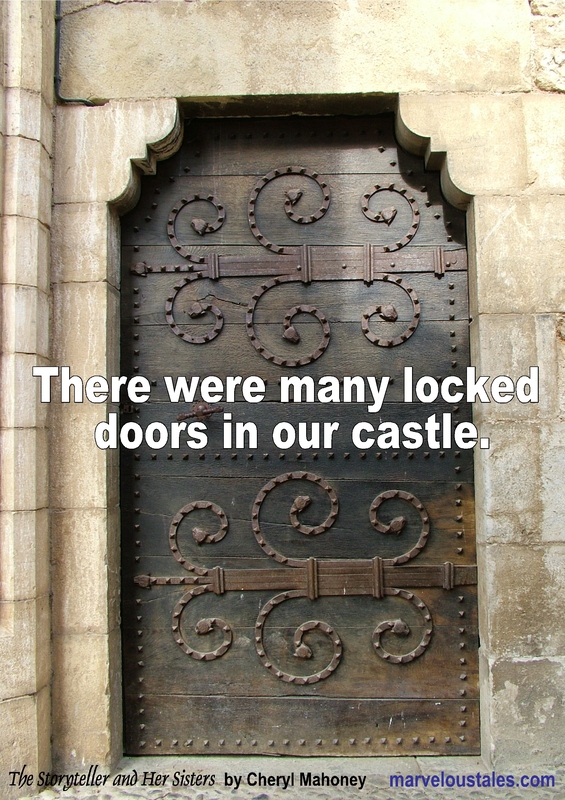 How the princesses get through those locked doors is a great read. Well done!